Leonid Kantorovich was a Russian mathematician and economist. He was awarded the Nobel Prize in Economics in 1975. This biography provides detailed information about his childhood, life, research, achievements and timeline. Leonid Kantorovich was a Russian mathematician and economist who was awarded the Nobel Prize in Economics in 1975. He was noted for his theories and employment of techniques towards optimal resource allocation and also considered the founder of linear programming. He completed his graduation and higher studies in Mathematics from the Leningrad University. Though his studies were focused in mathematics, he later developed interest in economics and devised mathematical techniques to solve economic issues. 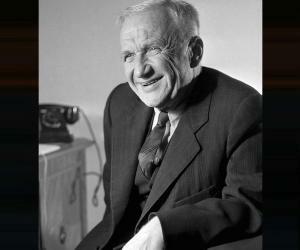 He taught at the Leningrad University between 1934 and 1960 after which he worked at theU.S.S.R. Academy of Sciences in Siberia for a decade. His research and findings in mathematics and economics is spread across constructive function theory, optimal planning and optimal prices, economic problems of a planned economy, functional analysis and applied mathematics, linear programming, descriptive function theory and set theory and approximate methods of analysis. He was awarded the Nobel Prize in Economics along with mathematician Tjalling Koopmans for ‘for their contributions to the theory of optimum allocation of resources’. He was also awarded the Stalin Prize. His theories and techniques pertaining to computers, mathematics and economics was documented and presented in more than 300 books and papers. 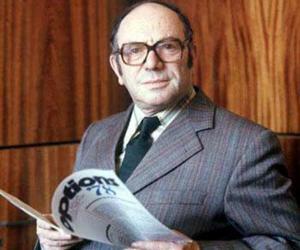 Leonid Kantorovich was born on 19 January 1912 at Saint Petersburg, Russia. His father, Vitaliy Moiseevich Kantorovich was a doctor and his mother’s name was Paulina Grigoryevna Zaks. His father died when he was just 10. He had four siblings; two elder sisters, Lidiya and Nadezhda, and two elder brothers, Nikolay and Georgiy who grew up to become doctors. In 1926, he joined the Department of Mathematics at Leningrad State University. He was only 14-year-old at the time. At the university he got the opportunity to listen to lectures by respected mathematicians Boris NikolaevichDelone, Vladimir Ivanovich Smirnov and Grigorii Mickhailovich Fichtengolz. He graduated from Leningrad University in 1930 and subsequently pursued his further studies at the Department of Mathematics of the Faculty of Physics and Mathematics, Leningrad State University. In 1934 he became a full professor. In 1930, after completing his graduation he was appointed at the Naval Engineering School as an assistant. In the year that followed, he worked at the Research Institute of Mathematics and Mechanics of Leningrad State University as Research Associate. In 1932 he was appointed as associate professor in the Department of Numerical Mathematics. He pursued his research in applied problems simultaneously. In 1933 He presented his first book that he co-authored with Vladimir Ivanovich Krylov. It was titled ‘Calculus of variations’. In 1934 he participated in the Second All-Union Mathematical Congress held at Leningrad and delivered two lectures on ‘On conformal mappings of domains’ and ‘On some methods of approximate solution of partial differential equations’. During 1934-1960 he worked at the Leningrad State University as professor. In his research of linear operations, he also defined semi-ordered linear spaces that were later to be called ‘K spaces’ or ‘Kantorovich spaces’. In this regard, he held discussions with mathematicians G. Birkhoff, J. von Neumann, M. Frechet and A.W. Tucker. Leonid Kantorovich published ‘On one class of functional equations’ (in Russian) in 1936. In the book he assigned semi-ordered spaces to numerical methods. Though he had a mathematical background, yet he was able to understand the underlying concept of economics and thereby devise mathematical approaches. During the initial years he also worked as a consultant for the Government’s Plywood Trust. He was assigned to distribute raw materials in a way so as to increase output. He treated the problem mathematically and the technique he devised is now called linear programming. This is when his interest in economics grew. In 1940 he stated the Kantorovich theorem, a mathematical statement on the convergence of the Newton’s Method for finding successively better approximations to the roots (or zeroes) of a real-valued function. During the siege of Leningrad in 1941, he was a professor of Military Engineering-Technical University, responsible for safety on the ice road across the frozen Lake Ladoga. During this period he calculated the most favorable distance between vehicles on ice based upon the thickness of ice and air temperature. Along with being a pioneer in making use of linear programming in economics, he introduced several other concepts into mathematics like the theory of complex variables, the approximation theory, the theory of function, descriptive set theory, application of Bernstein polynomials etc. in functional and numerical analysis. Between 1961 and 1971, he was the Head of Department of Mathematics and Economics Siberian branch of the U.S.S.R. Academy of Sciences. In 1971 he joined the Institute of National Economic Planning at Moscow as Head of the research laboratory. 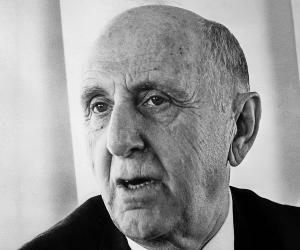 In 1969, he presented the concept of a distance function defined between probability distributions on a given metric space M. The metric was later named ‘Wasserstein metric’ after him by mathematician Roland Dobrushin. 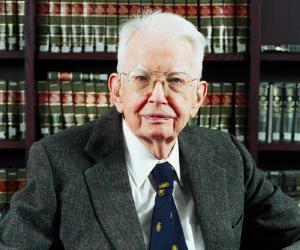 His works and research in various fields have been documented as books and papers. A few of his most important books include ‘Approximate method of Higher Analysis’ (1958), ‘Tables for the Numerical Solution of Boundary Value Problems: Of the Theory of Harmonic Functions’ (1963), ‘Funktional analysis in Normierten Räumen’ (1964), ‘Problems of application of optimization methods in industry’ (1976), ‘The best use of economic resources’ (1965) and ‘Descriptive Theory of Sets and Functions. Functional Analysis in Semi-ordered Spaces’. Leonid Kantorovich was known for employing his knowledge of mathematics to solve issues and optimize processes in economics. He introduced various concepts like linear programming, functional analysis, descriptive set theory, theory of complex variables among several others. He was voted into the Academy of Sciences of the Soviet Union in 1964. He was honored with the Lenin Prize by the Soviet Government in 1965. In 1967, he was awarded the Order of Lenin by the Soviet Union Government. In 1975 Leonid Kantorovich was awarded the Nobel Prize in Economics. He was inducted into several renowned professional societies like American Academy of Arts and Sciences, International Econometric Society, National Engineering Academy of Mexico, International Control Institute of Ireland and Hungarian Academy of Sciences to name a few. He received honorary doctorate degrees from universities of Nice, Helsinki, Glasgow, Cambridge, Pennsylvania, Warsaw, Martin-Luther University, Halle-Wittenberg and Indian Statistical Institute in Calcutta. In 1938 he married Natalie who was a physician. The couple had two children, a son and a daughter who grew up to become economists. He died on 7 April 1986 in Moscow. He was 74 years at the time of his death. In Mathematics, a unique case of the Cauchy-Schwarz inequality is named after him as ‘Kantorovich inequality’.